The near invisible quick response barcodes are looking for Chinese local investors and partners. Israeli startup, Visualead, has just announced that it has launched its near-invisible QR codes in China, and that it is now looking for investors and partners in that country. These barcodes are unique because of the fact that they are nearly invisible but highly scannable. This helps marketers to overcome their current concerns with the fact that QR codes take away from the visual appeal of their advertisements. Visualead’s launch in China has been a very strong one as it began its entry to that market by becoming the winner of the Growth Stage Competition at a worldwide mobile internet conference last week. 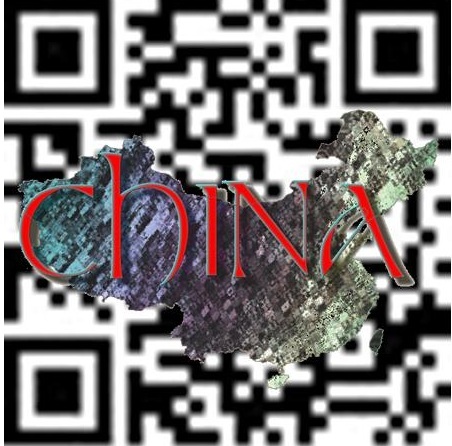 The near invisible QR codes company is very positive about its launch in China and its successes so far. According to Uriel Peled, the CMO of Visualead, “It’s very exciting”. Now that the company has won a quite a notable award, it intends to continue to make a big splash in the country by helping brands, marketers, and others to apply its QR codes technology in order to be able to improve communication between them and consumers in China. Visualead was first launched in January. It functions by giving everybody the chance to generate QR codes through the uploading of a photo onto the website, merging the image and the barcode together. This is considerably different from the older versions of the barcodes which were limited to a black and white square made up of pixels. The benefit of the Visualead nearly invisible barcodes, says the company, is that their highly improved visual appeal will help to encourage consumers to scan them. This is because they are more attractive and are therefore more likely to build engagement with the people who see them and who carry smartphones. Though the generation of the QR codes is a part of a free service, Peled has said that the company has intentions to broaden its premium service. That is a paid version geared toward small businesses and enterprises, which can buy their barcodes for use on virtually any kinds of print materials, including retail products, banners, and brochures. Visulead has just unveiled its brand new technology to fade out the appearance of the standard 2d barcode. Though marketers have fallen in love with QR codes because of their cost efficiency and the fact that consumers can use them very easily through a regular smartphone, ad and graphic designers have struggled with these black and white squares that aren’t all that appealing to the eye. A startup company has just released its latest technology to help overcome that issue. Visulead, a startup based in Israel, has now produced a technology that can “fade” the look of typical QR codes in order to make them more visually likeable in printed marketing materials. The hope is that it will help to grow their popularity even further, and to encourage more people to use them. 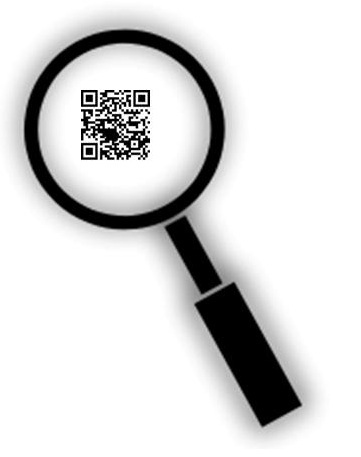 This technology from Visulead is still evolving so that nearly invisible QR codes will be more attractive with time. The standard black and white squares can currently be seen on virtually everything, ranging from product packages to billboards and poster ads. However, these QR codes stand out as blocky and can often not be well suited to the ad that they accompany. With the new technology from Visulead, the typical appearance of the QR codes can fade out by up to 70 percent. This is the second generation of its design, which is patent pending at the moment. However, the evolution hasn’t stopped there, as the third generation is expected to be released within the next few months. That even newer technology, says the startup, will fade the barcodes even more, until they look like very little more than a box that can be scanned. The CEO and co-founder of Visulead, Nevo Alva, explained that “We think of our product as the ultimate marriage of QR code and image recognition technologies; essentially, an invisible QR code.” The latest version of the nearly invisible barcode is meant to be used by marketers and advertisers. However, it is still possible for individuals to head to the company’s website and create their own. The free QR codes do come with an intermediary short landing page before the user is directed to the actual destination of the scan. Small businesses choosing this option can opt to have that middle step removed for a per-code fee.